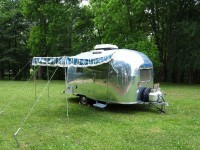 We are the third owners of this Airstream. At the time of our purchase, it was in very good condition, the previous owner upgraded and restored many of the systems. He installed new Marmoleum floors, updated the fresh water system and the DC electrical system and had it polished, sealed and clear coated. The axles were replaced and have been maintained on a regular basis since. While we have owned it, we have made improvements and brought it back to its original glory. 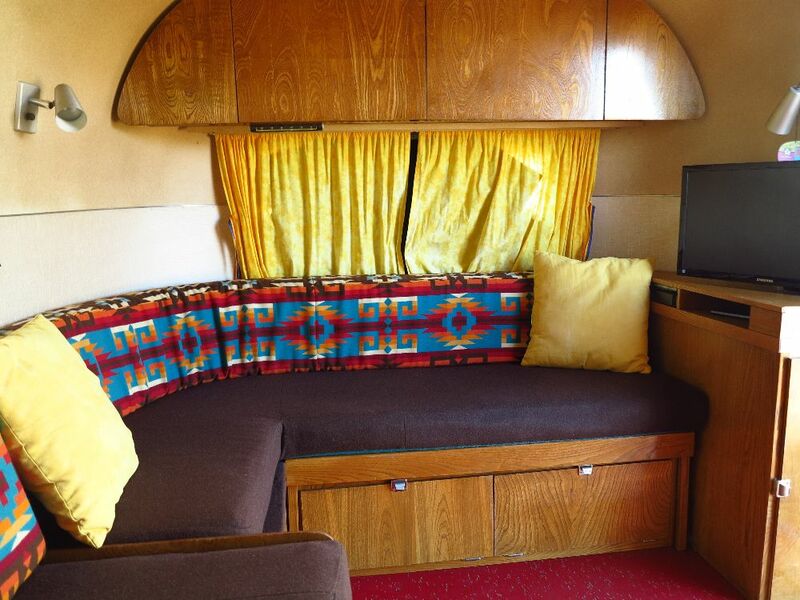 •	The upholstery was replaced with Pendleton wool in a beautiful southwest theme. •	The cabinet by the door was expanded to hold a folding table and the cushion for the front gaucho. At the same time a cap was built for the cupboard that holds a flat screen TV and DVD player. •	The fresh water holding tank was replaced with a new one and the plumbing was updated for the tank drain. •	The black tank was replaced with a new, slightly larger tank. 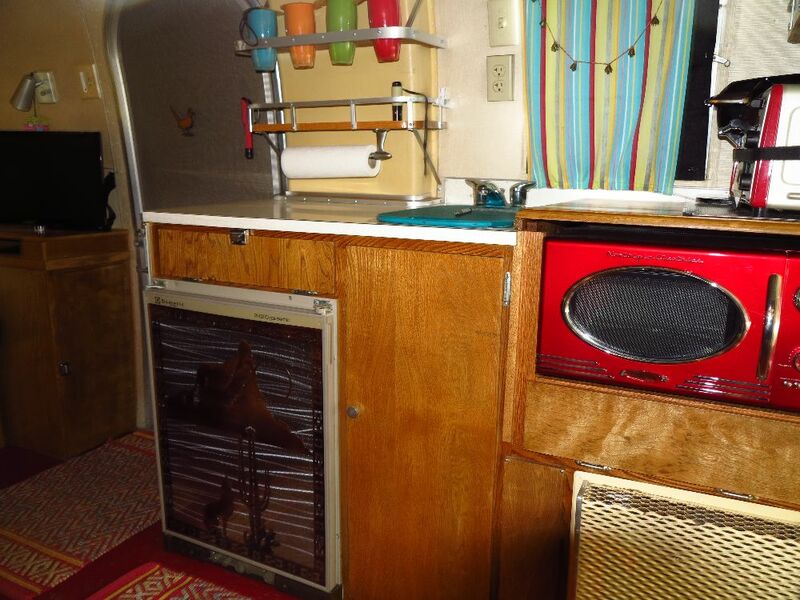 •	The oven and stove were replaced with a vintage looking microwave and toaster oven, all color matched. Additional storage was added as well as additional counter space. A separate AC circuit was added to power the microwave etc. •	All of the lights have been updated to LED and there is indirect LED lighting above the cupboards. •	There is a thermostatic controlled exhaust fan, therefore the fan over the oven was removed to provide additional cupboard space in the kitchen. •	The propane heater was removed and we now use an electric heater with a remote thermostat, the space where the heater was has been converted into a small pantry to hold cans etc. •	The refrigerator chimney was replaced with a brand new one from vintage trailer supply. •	The propane dual regulator was replaced using stainless steel covered hoses. •	We made custom black out curtains which snap in place to provide an excellent sleeping environment. •	Installed new 7 pin vehicle cable with a new junction box. 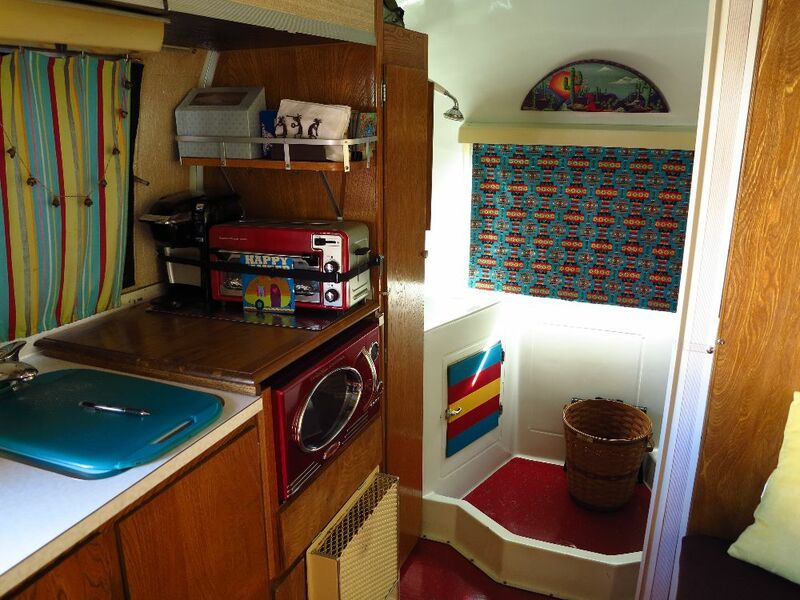 •	The refrigerator has a custom-made cover with a southwest theme. •	New accordion bathroom door. Other unique features of this airstream include dual 20LB aluminum propane tanks. 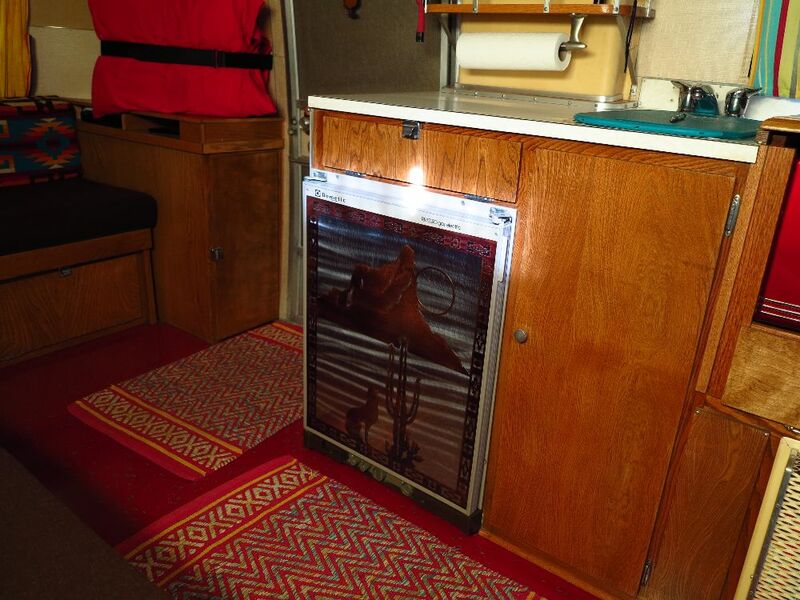 The awning is an original awning and is in excellent condition. You can still read the manufacture date on the awning. The awning has been fitted with a special mounting system which allows one person to install it in approximately 10 minutes. The toilet is porcelain with a flush tank. 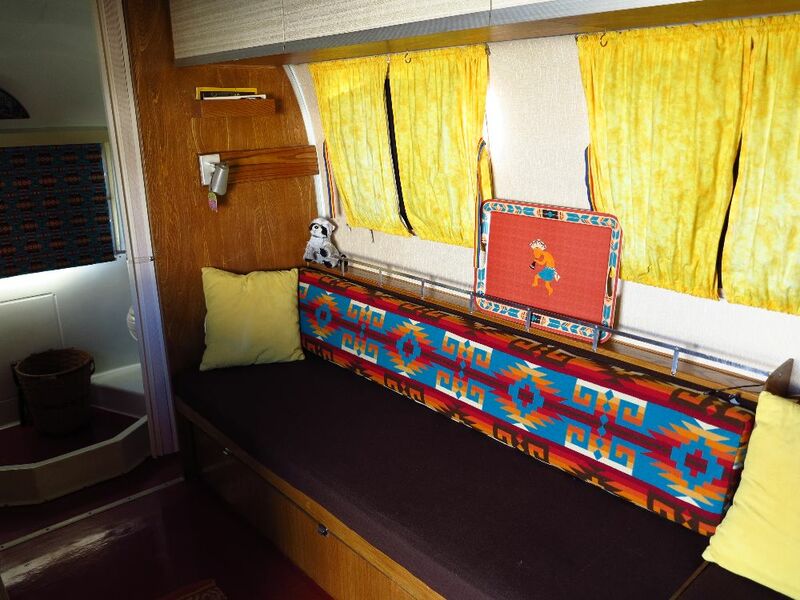 There is a bunk that mounts above the side gaucho that can hold a small child. The previous owner kept meticulous service records. We have all of the original owner’s manuals in a notebook. Additionally, all of the manuals and service receipts have been scanned and are available on a thumb drive.